If you have kids you have pee stains I know it. If you don't lucky you or you are a liar and in denial. 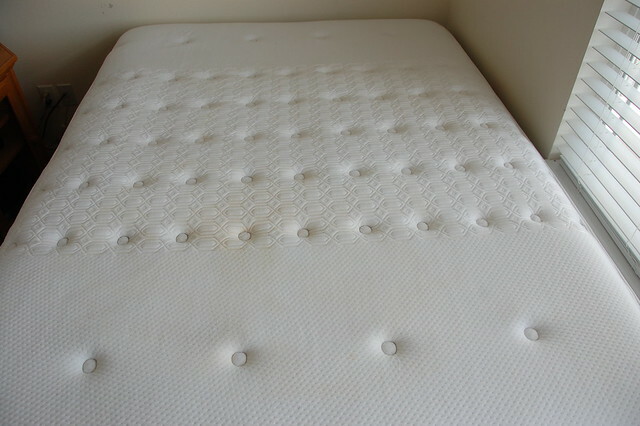 I have pee stains on more than one mattress. I also have sweat stains on pillows because well I sweat a.lot. It's a gift I know. I digress. 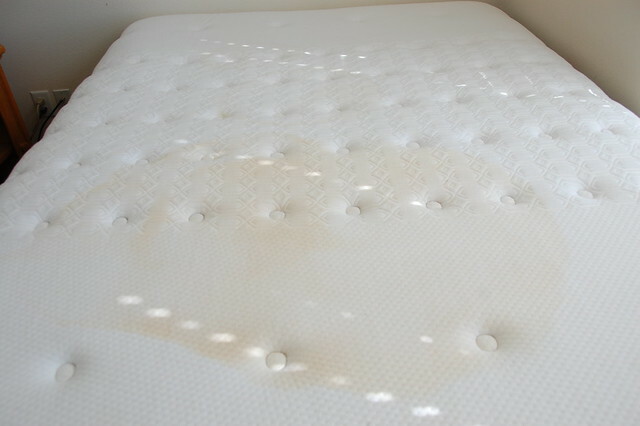 Anyway I have tried many different ways to get urine/pee out of mattresses and I have been very unsuccessful so I did a google search and what do you know? Another mom had pee stains too. So I borrowed her recipe and it totally worked so I am sharing it with you. 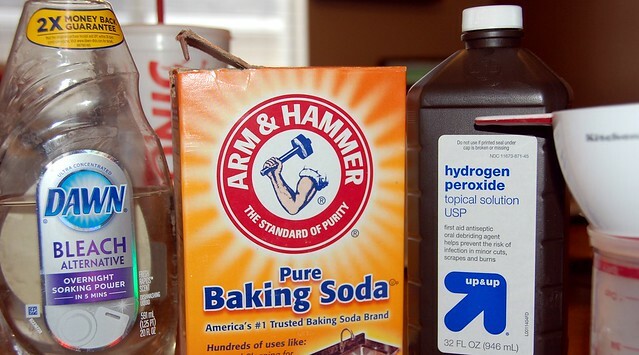 All you need are these few house-hold ingredients and a spray bottle. I bought a really expensive one (NOT) I used one I had for my kids hair. It worked great. It's kind of magic and I seriously LOVE that. I do know the power of hydrogen peroxide I have used it at work as a nurse to get blood stains out of my scrubs, so I wasn't surprised to see it would also remove urine. Yay for cheap cleaning products! I am thinking it will work on any bodily fluid stain (I'm not trying to be gross). Blood, sweat, urine. I did the treatment twice. It dried really fast and it also pulled out the odor. Now I am oh so happy. Hope you are as happy about this as I am!